Matt joined Fifth Third Bank in February 2018 as a vice president and business banking relationship manager covering Metro Atlanta area and its surrounding cities. He brings over 14 years of experience in the business banking market serving manufacturers, import/wholesalers and technology firms with sales between $2 - $20MM. He gained valuable experience as a chief financial officer of an import/wholesale business based out of Atlanta, and shares that knowledge with his clients. 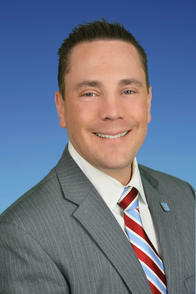 Matt is also an advocate for SBA lending programs, and understands the many benefits they bring to growing businesses. He considers himself an entrepreneur at heart with a true passion for working with all types of industries. Matt earned a Bachelor of Science in Finance and Economics from The University of Alabama, and an MBA from Kennesaw State University. He is an Atlanta native, and resides in Smyrna with his and their two children. Matt enjoys many outdoor activities including sailing, skiing and climbing. In addition he is a collector of Koi fish, a hobby he and his whole family share. Matt is also a cub scout leader, and highly involved with his children's school PTA.